It is helpful to have some information on cabin sizes, categories, and placement when selecting the stateroom that will most fit your needs onboard the Royal Caribbean Serenade of the Seas. Both Outside and Interior category staterooms are nicely appointed, but they do not have balconies. These rooms range in size from 164 to 319 square feet. The Balcony category includes the 184 square foot Deluxe Ocean View Staterooms and the 194 square foot Superior Ocean View Staterooms. Both have balconies measuring from 43 to 45 square feet. Guests who require a larger space may wish to choose from the Suite/Deluxe category. These rooms range from 293 square foot Junior Suites to 951 square foot Royal suites. These cabins have balconies as well, measuring 64 to 283 square feet. Handicapped passengers will enjoy the special features found within the wheelchair accessible staterooms. Along with lowered beds, vanities, and closet bars, these cabins have amplified phones and caption TVs. The oversized bathrooms have roll in showers that include benches, hand held shower heads, and grip bars. An exclusive line of linens, the Royal Caribbean Bedding Collection is used on all guests beds. Made in Italy exclusively for the Royal Caribbean line of ships, each set consists of a 300 count Egyptian cotton fitted sheet, embroidered Royal Caribbean logo flat sheet, pillowcases, and a duvet with cover. Royal Sweet Dreams Pillows and Royal Memory Pillows complete the set that is placed over a Royal Mattress and Royal Pillow top Pad. Beds onboard the Royal Caribbean Serenade of the Seas will range in size from twins to king size. Most twin beds can easily be converted into a queen size bed. Pullman beds and sofa beds are used to add more sleeping space within the cabins without wasting floor space when not in use. Larger Suites contain queen and king beds, many times in separate bedrooms. 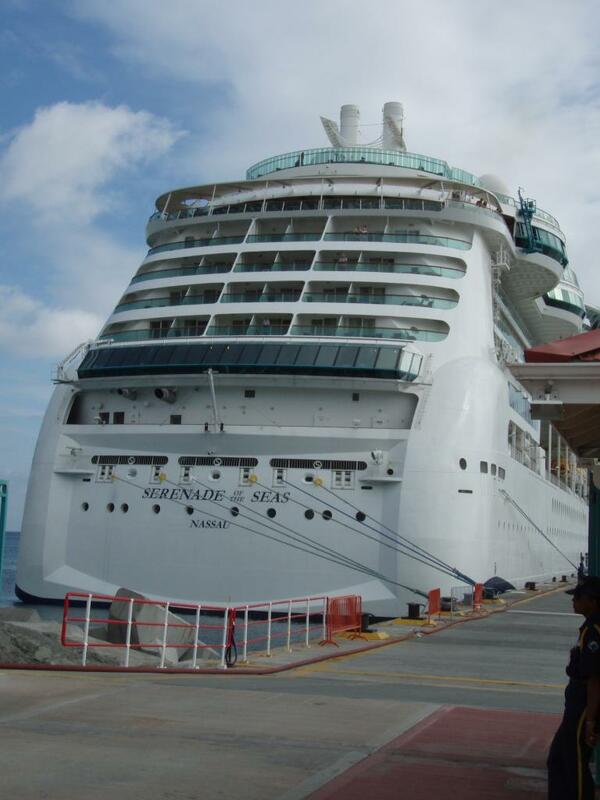 Royal Caribbean Serenade of the Seas Staterooms are located along seven decks. Deck Two has other cabins located on the deck overhead. This means that noise issues should not a problem along this level. Guests should note that staterooms 2000 - 2028 have portholes instead of standard windows. Cabin 2023 is a larger wheelchair accessible room. Staterooms 3114 - 3144 and 3614 - 3645 are located under the main dining area. These rooms may hear noise while the staff prepares meals, serves them, and then cleans up afterwards. Of these cabins, Interior Staterooms 3177 - 3143 and 3615 - 3645 will pick up the most noise. The other area on Deck Three that has noise issues would be cabins 3000 - 3020 and 3500 - 3520, as these room are directly below the theater. Guests will be able to hear the set-up, performance, and clean-up of each production. Of these cabins, Interior Staterooms 3009 - 3019 and 3509 - 3519 will be the loudest. Those looking for quieter staterooms on this deck will enjoy 3036 - 3086 and 3536 - 3586 which are located beneath other cabins. Rooms 3539 and 3541 are larger wheelchair accessible options. Deck Four is situated beneath many of the ships public areas, increasing the chance for noise in the cabins. The sound of staff setting up, performing and cleaning up theater productions may be heard in exterior staterooms 4000 and 4500. Exterior rooms 4060 and 4560 and interior rooms 4061 and 4561 are nearest the lobby bar and may experience late night noise issues. Larger wheelchair accessible rooms are found in exterior cabins 4066 and 4008, along with interior rooms 4017 and 4517. The quietest rooms on Deck Seven are forward facing Family Ocean View Staterooms 7004 and 7504. Forward facing Ocean View Staterooms 7002, 7000, 7500, and 7502 are also quieter. Staterooms 7040 - 7094 and 7540 - 7670 pick up the most late night noise from the lounges, clubs, casino, and bars. Staterooms 7006 - 7038 and 7506 - 7538 are above the theater. Of these cabins, 7529 - 7535 are the loudest. Rooms 7108 - 7146 may pick up some noises from the smaller restaurants overhead. If space is important, the two bedroom suite 7672 is the largest stateroom on Deck Seven. Aft facing Ocean View Staterooms 7172, 7174, 7176, 7676, and 7647 have larger than normal balconies with excellent aft views and less wind. Ocean View Staterooms 7112, 7114, 7612, 7614, 7110, and 7610 are larger wheelchair accessible rooms. Of these, 7110 and 7610 are "hump" cabins and have unusual shaped balconies, making them bigger than average. "Hump" Cabins 7606 and 7596 have smaller than normal balconies. Deck Eight has several cabins with nicer balconies. Aft facing Ocean View Staterooms 8168, 8170, 8172, 8672, and 8670 have excellent views from their aft facing balconies. "Hump" Exterior Staterooms 8086, 8088, 8102, 8104, 8604, and 8586 have larger balconies. The Two Bedroom Suite 8668 is the largest cabin on Deck Eight with a spacious balcony. Ocean View Stateroom 8008 and 8508, 8042, 8542, 8590, and 8600 have smaller balconies. Cabins on this deck without a balcony include the Family Ocean view Staterooms 8000, 8002, 8500, and 8502. Ocean View Staterooms 8004, 8006, 8504, and 8506 also do not have balconies, but these cabins are larger than average for their category. Cabins 8058, 8060, 8162, 8164, 8662, and 8664 all have partially obstructed views. On Deck Ten the corner aft Grand Suite 1600 has the best ocean view, while Aft facing Junior Suites 1100 and 1602 have larger balconies with less wind. Larger than average balconies with aft facing views can be found in Aft facing Ocean View Staterooms 1102, 1104, and 1604. Junior Suites 1028 and 1528 are wheelchair accessible, and "Hump" cabin 1560 has an odd shaped balcony that is larger than most. 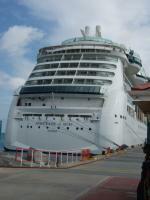 Noise may be a concern in suites 1028 - 1052 port side, 1528 and 1552 starboard and exterior stateroom 1046. These are all beneath the pool and may pick up noise from the cleaning crew during the night. All Interior Staterooms on this deck, including 1003 - 1009 and 1503-1509, are under the spa. Noises should not be a problem after the spa is closed.